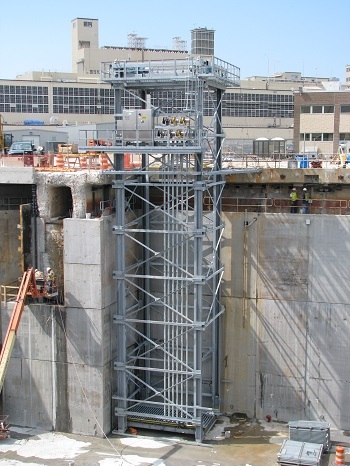 GEDA USA offers vertical reciprocating conveyor (VRC) lifts used to transport materials, supplies, and equipment. 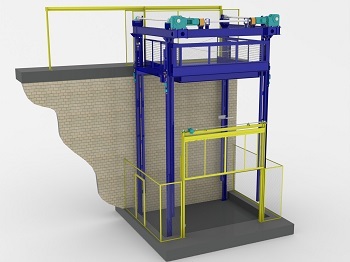 VRCs provide efficient, easy-access lifting between floors or levels in manufacturing facilities and buildings, including mezzanines, balconies, basements, decks, and multi-level production lines. They are used in warehouses, industrial plants, commercial buildings, and on board ships and oil rigs. 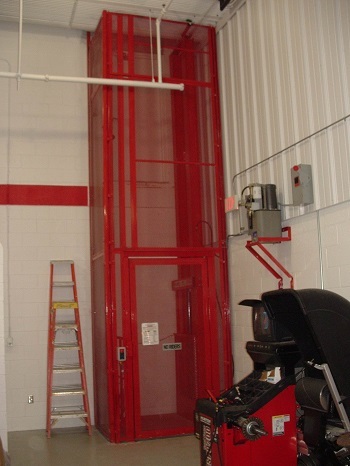 Our VRCs are rugged, durable material lifts designed and manufactured for medium and heavy loads. VRCs are used in exterior, interior, and through-floor applications. In production facilities, warehouses, and storage facilities they can be easily integrated with a conveyor system or production line and provide a safe alternative to moving materials using forklifts. 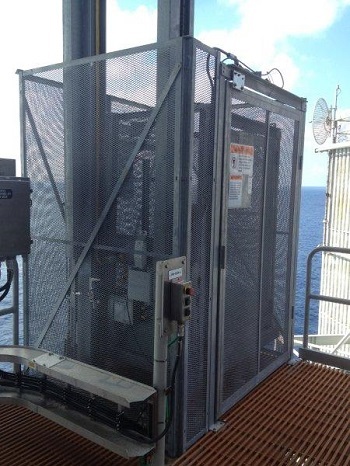 In marine applications, they provide fast, safe transport for food, laundry, supplies, and cargo between levels within a ship, rig, or onshore storage facility. 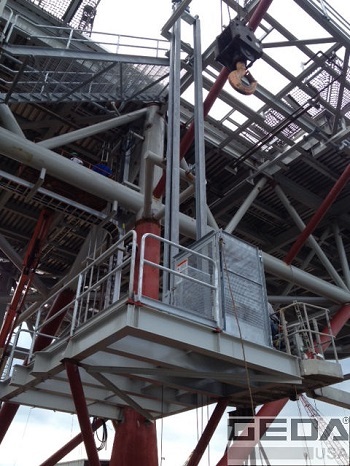 Explosion-proof models provide safe lifting for hazardous materials in manufacturing, refining, and oil rig operations. Lift distance up to 50 ft.
Loads up to 100,000 lbs. Carriage sizes from 3’x3’ to 10’x10’ and custom sizes available upon request. 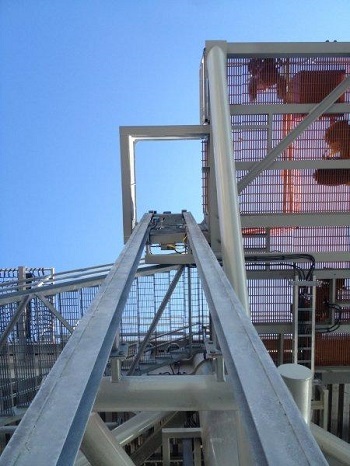 GEDA USA’s VRCs are manufactured to meet or exceed ASME B20.1 safety standards. 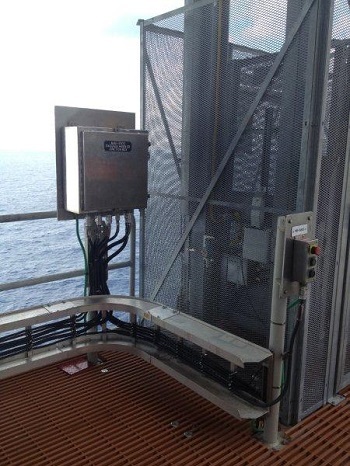 View our VRC Material Lift brochure for more information! Contact the GEDA USA team to learn more about our extensive product line, or to inquire about project pricing and delivery times.